BUDAPEST, Hungary (AP) — Macedonia’s fugitive former prime minister said Tuesday he has been granted political asylum in Hungary, a week after he fled his country to avoid serving a two-year jail sentence for a corruption conviction. Nikola Gruevski, prime minister from 2006 to 2016, is considered a close ally of right-wing Hungarian Prime Minister Viktor Orban, although the government has insisted that the asylum request is purely a legal matter, not a political one. In a Facebook post, Gruevski said he was a victim of political persecution by Macedonia’s current Social Democrat government. Authorities in Hungary did not immediately confirm he was granted asylum. Earlier Tuesday, Macedonia made a formal request to Hungary to extradite the 48-year-old conservative politician. 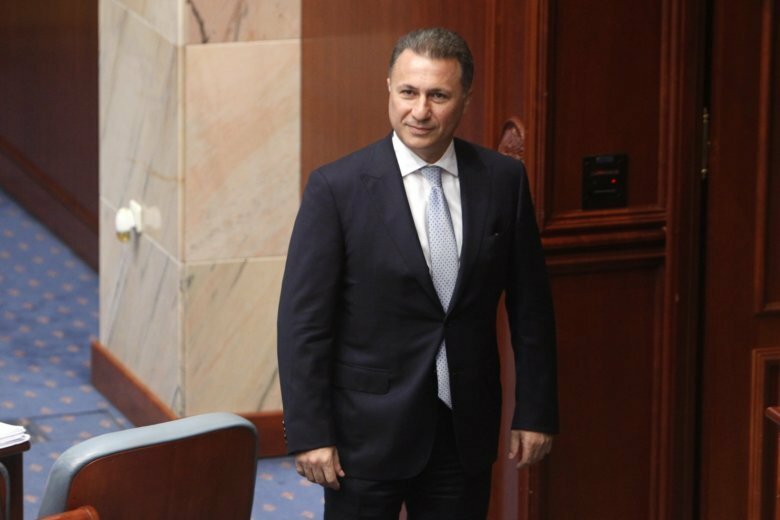 The Justice Ministry said Tuesday that the request noted that Gruevski is facing trial in at least three other corruption cases, including charges that stem from a major wiretapping scandal. The extradition request, the ministry said, also noted the “serious nature of the crimes” in question. Orban has been strongly criticized for the special treatment Hungary has granted Gruevski, including the help he received from Hungarian diplomats as he traveled by road through several Balkan countries after fleeing Macedonia. Lawmaker Adam Mirkoczki, of the nationalist Jobbik party, convened a special session on Wednesday of Parliament’s national security committee, claiming Hungary’s immigration officials misled lawmakers about the Gruevski case. Other opposition parties said the Orban government was siding with a “criminal,” and accused authorities of breaking Hungarian and international laws during the asylum procedure. Timea Szabo, a lawmaker with the Dialogue party, said they would seek legal options to ensure that Gruevski does not stay in Hungary. Macedonia has been wracked by political crisis for more than three years, marked by a bitter rivalry between Gruevski and current Prime Minister Zoran Zaev. Most recently, their two parties have been at odds over the country’s provisional agreement to change its name to North Macedonia and end a long-standing dispute with neighbor Greece that would allow it to join NATO. Gruevski’s VMRO-DPMNE party is vehemently opposed to the deal, describing it as a national humiliation. Western leaders, including German Chancellor Angela Merkel and U.S. Defense Secretary Jim Mattis, traveled to Macedonia to expressed support for Zaev and the agreement with Greece before a Sept. 30 referendum. Voters overwhelmingly backed the proposal but the process was marred by a low turnout.